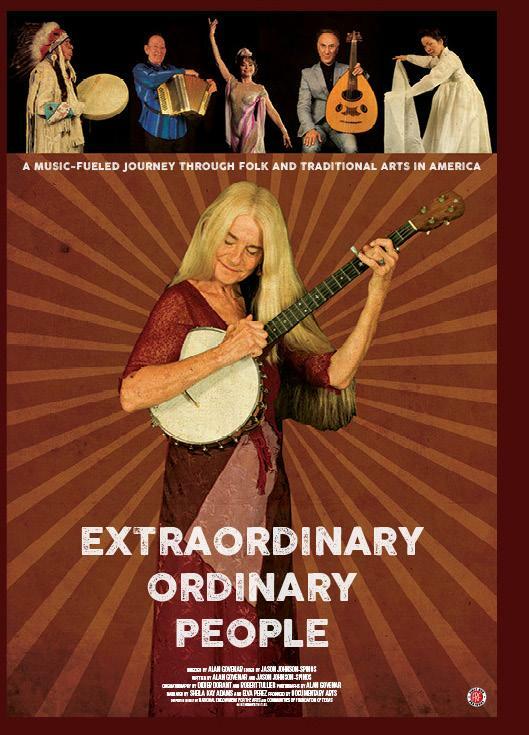 EXTRAORDINARY ORDINARY PEOPLE, a sweeping celebration of the cultures of the world living and thriving in the United States. A sense of accidental profundity peeks through the rudimentary style and noncommittal structure of Extraordinary Ordinary People, a documentary that seems to be summed up entirely by its title. That title, oddly, comes from one of those moments of profundity, in which one of its interview subjects states that the subjects of the documentary’s focus are “extraordinary, ordinary people.” It’s not that the moment feels scripted – indeed, only the narration does – but that co-writer/director Alan Govenar felt compelled to keep it in the film that gives his documentary the feeling that something is off. It’s not a dull subject, which in this case is the National Endowment of Arts as it pertains to the world of folk arts and music. We see a lot of archival footage of artists both current, which are too many to name, and former, such as the likes of the late B.B. King and Alex Moore, both of whom share views on the genre of blues in music that could be enough to redefine for those who are unsure of its charms: King describes it as a state of mind, in that whatever he is singing, it is the blues because that’s what he makes it. Moore believes that it’s the best way to learn about someone. Both men died leaving legacies to carry on to those that came after them. They wouldn’t have it any other way. Similarly, Sheila Kay Adams (who provides part of the narration, co-written by Jason Johnson-Spinos, in addition to being a talking head) believes that the endowment is powered by its cultural diversity, shrugging off the nationalist views of others who question why those who cannot speak English would be able to be involved in the National Heritage Fellowship. For her, it’s in the name: Her own heritage led her here, and so did theirs. It’s a moving moment, and so is the one in which one of the overseers of the Fellowship must announce its dissolution. The documentary loses much of its focus on and potency from these moments when it zigzags randomly through history as thoroughly as it shifts between specific subjects, such as the segment involve blues or another involving the similarly legacy-adopted voices of bluegrass or yet more involving international music from below the border between Mexico and the South. We see performances from modern legends in their genres, and the artistic barriers are crossed into the likes of crafting lace, pottery, and other totems of tangible expression. We don’t receive much in the way of insight across its scant 78 minutes (minus end credits), though. We are provided with merely a glimpse at these subjects before Govenar moves on to another one. 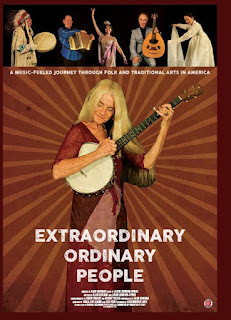 Extraordinary Ordinary People nearly gets by on the people of the title. It’s fascinating to listen, but we deserved more time with them.